Uzbekistan scored the winning goal in the last minute of extra time. 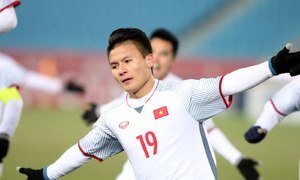 Vietnam finished as runner-up in the AFC U23 final against Uzbekistan after the latter scored in the last minute of extra time, brining the score to 1-2. 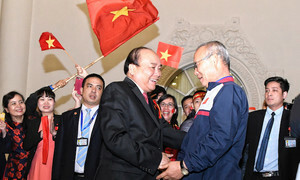 In addition to silver medals, the Vietnamese team also received the Fair Play Award for its performance throughout the competition, which took place in China. 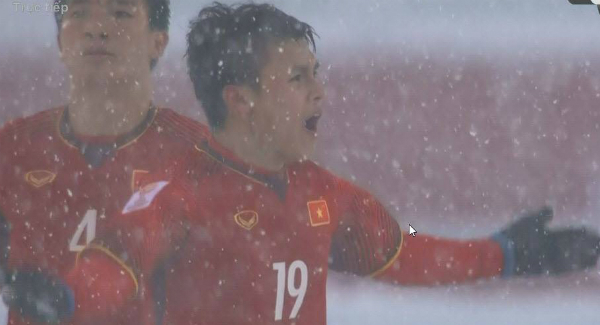 In snowy conditions at the Changzhou Olympic Sports Center, it was Uzbek defender Rustamjon Ashurmatov who scored first with a header in the 8th minute. 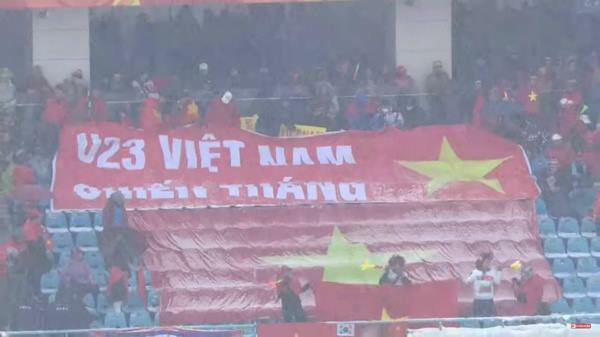 More than half an hour later, Vietnamese midfielder Nguyen Quang Hai equalized with a free kick. It was his fifth goal at the championship, making him one of the top scorers. The match remained level in the second half, forcing the teams into extra time. In the 120th minute, Uzbekistan's striker Andrey Sidorov scored their second goal, crowning his team champions of the 2018 U23 Asian Cup. Sidorov replaced Javokhir Sidikov in the 118th minute of the match. 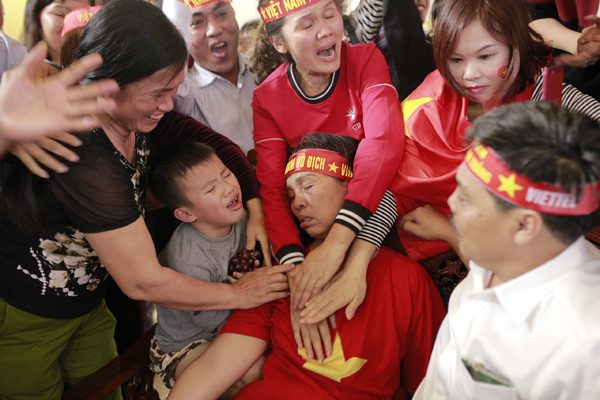 "We were so close," Quang Hai said sadly after the match. "We could have played better but we failed." "We have no words to thank the fans. They've been beyond marvelous. 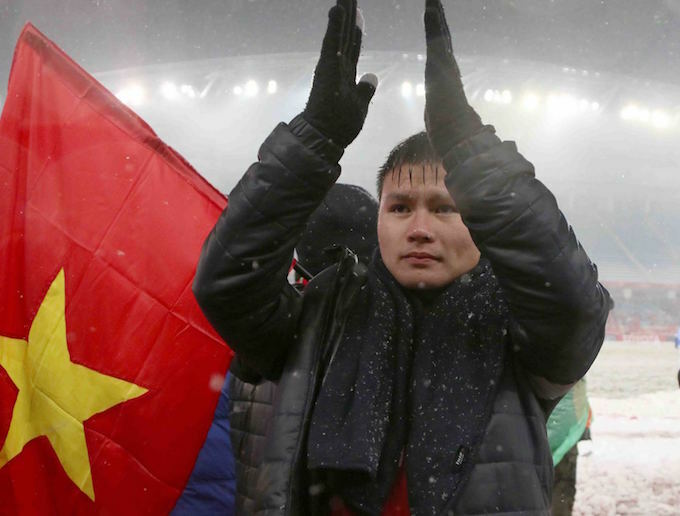 We got this far thanks to the fans who have always stood by our side," Quang Hai added. 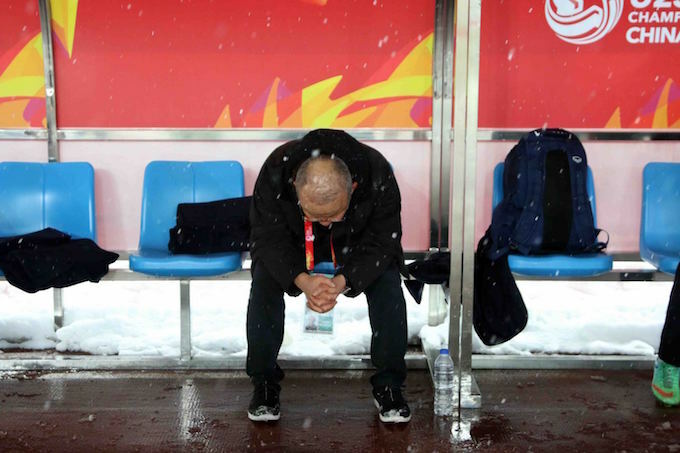 After losing, Vietnam's Korean coach Park Hang-seo was seen surrounded by his players shouting: "Why do we have to keep our heads down?" while beating his chest. "We don't have to keep our heads down because we've tried our best." Coach Park and the players then proceeded to thank their supporters at the stadium. "They have never played in such weather condition. It was our biggest challenge, said the coach. "We had to give up on our signature style and found it difficult to adapt to weather conditions." It was snowing throughout the match and temperatures were freezing. "In over 40 years of coaching, this is the tournament I am most proud of," said Park, who was assistant to Dutch coach Guus Hiddink during the 2002 World Cup where South Korea finished fourth, the country's biggest achievement. "I'd like to thank my players; it's them who created these memorable moments for me." 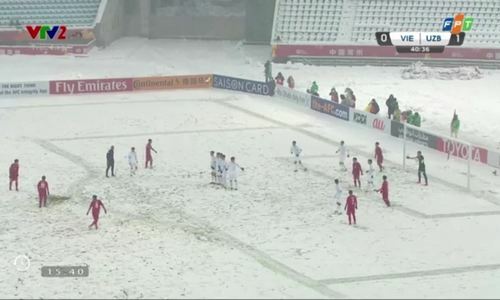 The game started at 3 p.m. in heavy snow despite earlier news that the weather could threaten to delay the match. 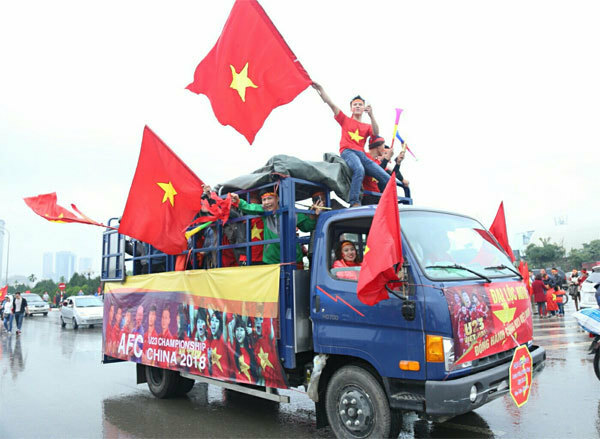 The Vietnamese team was in their official color red. 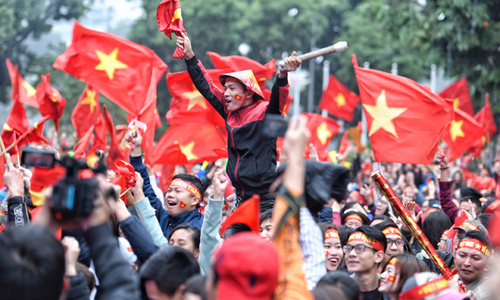 Vietnam, considered the underdog at the start of the Asian Football Confederation (AFC) U23 Championship, has won numerous plaudits by beating top competitors to earn a place in the final. The team defeated Australia 1-0 in the group stage. The players also beat Iraq in the quarterfinals and Qatar in the semifinals, both on penalty shootouts. The final on Saturday was not the first time the two teams had met. 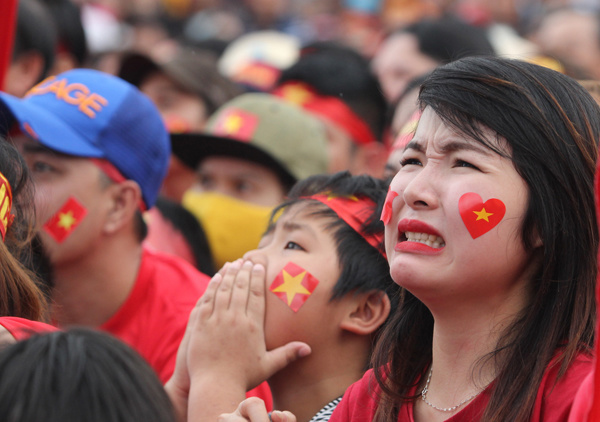 Just last month, Vietnam’s U23 team lost 1-2 to Uzbekistan U23 at the M150-Cup in Thailand. 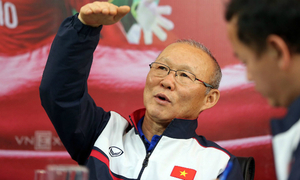 Uzbekistan then went on to defeat Japan in the final, while Vietnam came third after beating Thailand. At this year's AFC U23 cup, Uzbekistan has fared better in terms of goals stats than the more defensively minded Vietnam. Many fans saw Uzbekistan as a tough player with better physical strength and possibly skills as well. 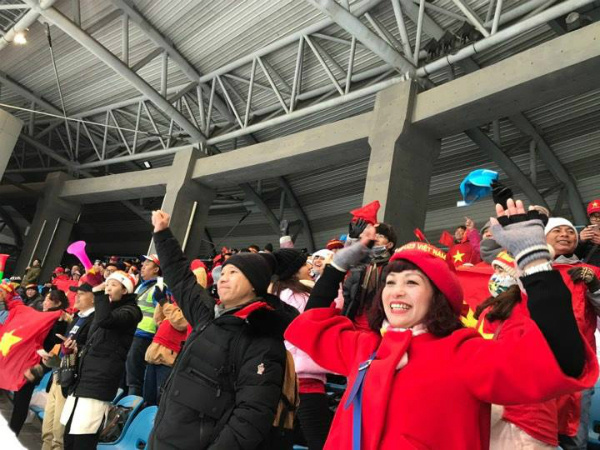 But many believed in the fighting spirit of Park’s forces and the unexpected results they have brought prior to the final. 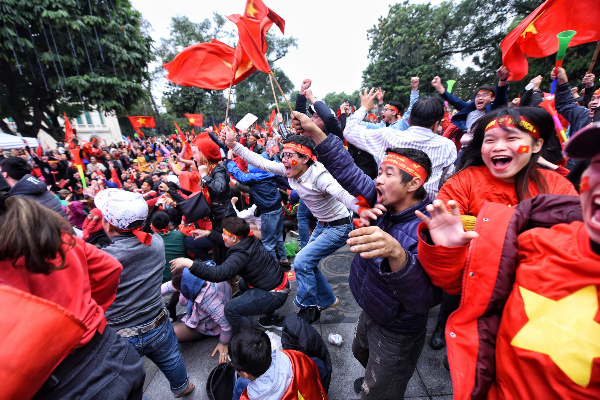 In Hanoi and Saigon, fans had brought red flags and T-shirts to the streets, after the official color of the Vietnamese team. 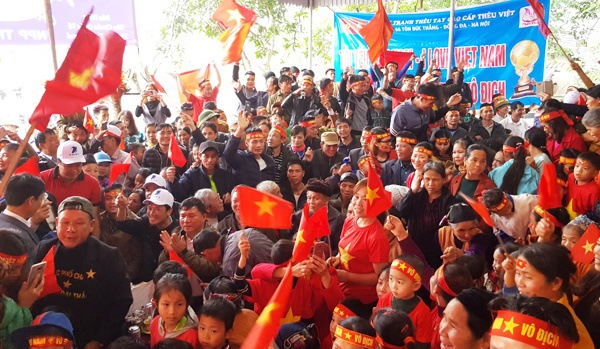 Houses of captain Luong Xuan Truong and goalkeeper Bui Tien Dung in northern rural Vietnam were packed with fans while the streets saw the biggest crowds ever. 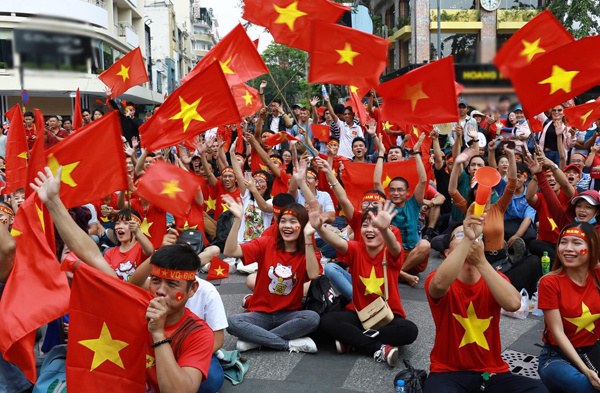 Entering the final game of an Asian championship is the best achievement in the football history of Vietnam as well as the Southeast Asia.